People often ask me what my favorite Indonesian restaurant is in Sydney. And in general, my response is it depends on the dish. There are plenty of great Indo restos, but each has their own specialty. Sometimes the menu is padded out with other Indonesian staples that people know and love, but they might not be that great. The cheap and cheerful restaurants are often better (imho) because they’re more likely to be closer to authentic Indo food, which is based on either home-style cooking or street food. Generally, this means I avoid the fancier restaurants like Ubud and Jimbaran. That’s not to say they’re bad (and I feel like I’m probably going against everything I wrote about whether expensive food is worth it in this blog post), but their menus are more suitable for Western palates. Having said that, if an Indonesian restaurant opened up in Sydney championing quality ingredients with a contemporary treatment, I’d be all up in there. As far as I know, that restaurant is still non-existent, so the ambiance isn’t important to me when it comes to Indonesian eateries. In fact the dodgier it looks, the higher the chance the food will be amazing. Without further ado, here’s my list of tried and tested Indonesian restaurants in Sydney. I’ll keep adding to this list and I’d love to hear any recommendations you might have. I’ll start with Willis Canteen because one of my top three Indonesian dishes of all time is gado-gado and the one at Willis is undoubtedly the best in Sydney. The ketoprak is good too, as is the sate ayam. Read: pretty much whatever they serve with peanut sauce. Unlike other restaurants, Willis doesn’t take shortcuts – the peanut sauce is freshly ground using real peanuts. Others tend to go the easy way and use peanut butter, which tastes so far from what true peanut sauce tastes like in Indonesia. More on Willis in this blog post. So it’s probably weird that my go-to dish at Ayam Goreng 99 is the grilled chicken. Ayam goreng means fried chicken, but it’s the ayam bakar (grilled chicken) that I prefer. It’s charred, smoky, and full of flavor. Take note that Indonesians tend to cook chicken to a point of very well done. Other goodies at 99 are the kangkung and the rendang. Fun fact: in Indonesia, nasi goreng (fried rice) is a complete dish. It’s not like plain rice where you order side dishes. There may be pickles or prawn crackers on the side (or a fried egg on top, which is often referred to as nasi goreng spesial), but because it’s already so flavorsome on its own, adding something intensely tasty like rendang would just result in competing flavors. Anyway, I digress. 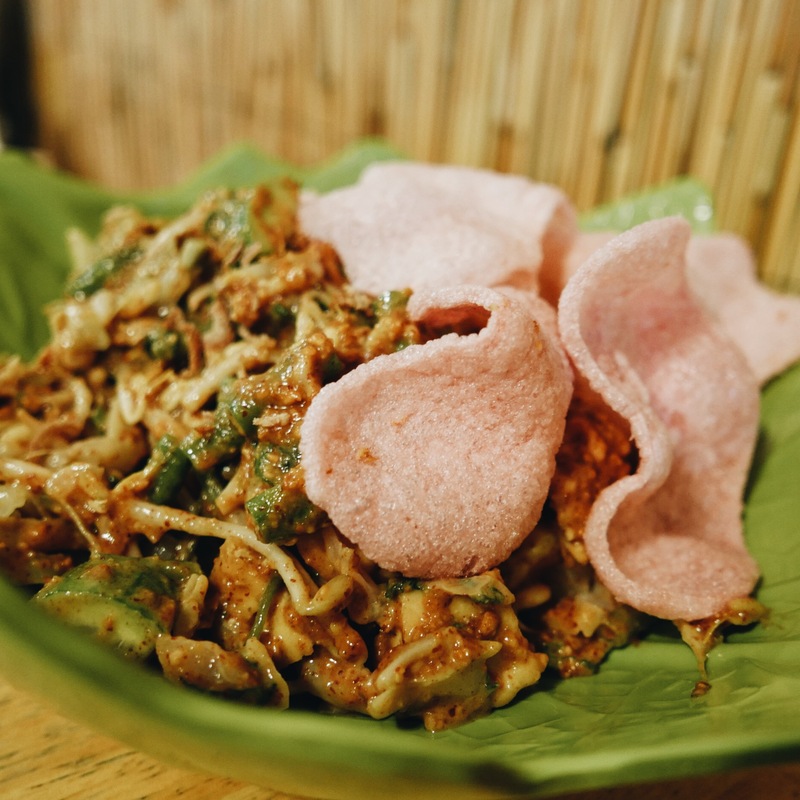 If you love fried rice, check out the nasi goreng Lestari with BBQ pork at Lestari Resto. The mountain of rice packs a punch, especially if you order it spicy. 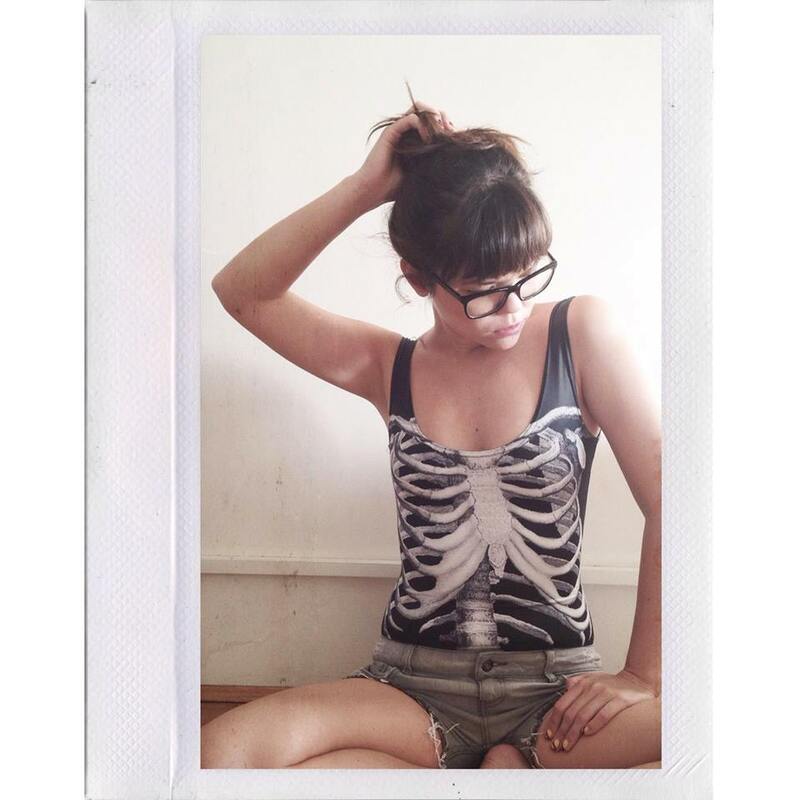 More about Lestari in this blog post. Indonesians are obsessed with chicken, especially fried chicken. Even an Indonesian McDonald’s (or McD as they affectionately call it) has fried chicken and rice. Anyway, this undying love for chicken means that ordering anything with ‘ayam’ at an Indonesian restaurant is generally a good idea. The ayam cabe hijau (chicken with green chilli) at My Delight is excellent if you can handle a bit of spice on your chicken. And the bakmi babi kecap (pork noodles) is awesome – those little nuggets are lard. Yerms. Ayam tulang lunak (soft bone chicken) is a lot like soft shell crab in that you can eat the bones! The texture of the chicken itself is unique, too. It’s soft but not particularly juicy. If it doesn’t creep you out too much, it’s definitely worth a try at ATL in Mascot. The crispy fried bits on top are pretty damn special, too. The yamien asin (savory noodles) at Mie Kocok Bandung is great, but I do regret not trying their signature mie kocok. The lontong sayur is just okay, but it’s awesome to find tahu isi (stuffed tofu), which isn’t normally sold in restaurants. In Jakarta, it’s something you can buy on the streets or you’d eat at home. The tempe goreng at Mie Kocok Bandung is served very thin and battered here. There are two types of martabak in Indonesia: martabak manis (a sweet, thick pancake-like dessert) and martabak telor (a savory, egg-filled pancake made with spring onion and mince). As always, I’m a fan of salty over sweet, so my preference is the martabak telor. It’s one of the most deliciously crispy snacks ever. If you find yourself somewhere in Java, you’ve gotta try it. It’s hard to replicate at home or in other countries because martabak telor is fried in a giant shallow pan. Check out the video below if you’re interested in seeing how it works. At Martabak Cafe, the martabak manis is better than the martabak telor by a mile. I find it’s mostly because the martabak telor isn’t very crispy. The best part is the crunchy skin. The martabak manis is very good, though. 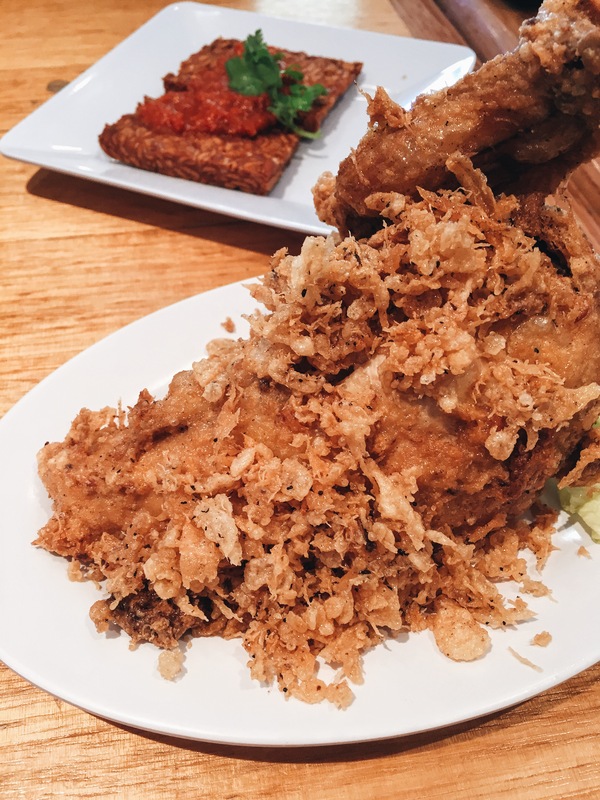 One of the newer additions to the Indo resto scene in Sydney, Podomoro is great for their tempe bacem – a deeply sweet tempe made with kecap manis. The nasi kuning komplit is decent, though the marinated chicken is a bit dry (side note: dry chicken is pretty common practice in Indonesia). The cah kangkung is very saucy (and corn starch-y), but tasty nonetheless. I prefer kangkung as a garlic or chilli stir-fry usually. I used to live in Kensington, but in retrospect, I totally failed to take advantage of all the fantastic Indo food in my hood. A fave is Pondok Buyung, which I’m pretty sure is the only place in Sydney for Padang food. It’s all Bain Marie-style where you pick three meat or veggie options with rice. Super delicious. 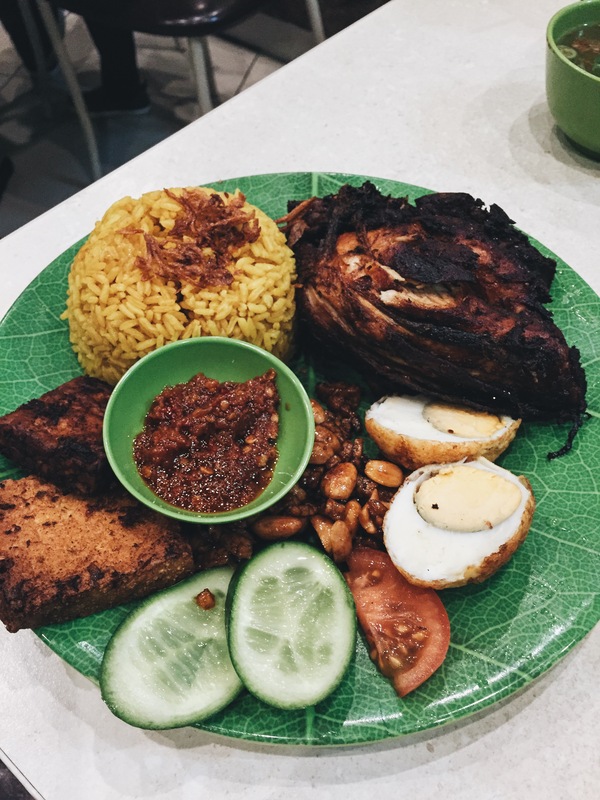 Located within Eating World food court on Dixon Street, Pondok Selera is another Indo quick fix where you can get a no-frills plate of rice with three choices. It’s home-style food with loads of different meat dishes and curries. I always get the perkedel here (Indonesian potato croquette). There’s also a menu you can order from, but I’ve only ever gone with the three choices and rice from the Bain Marie. 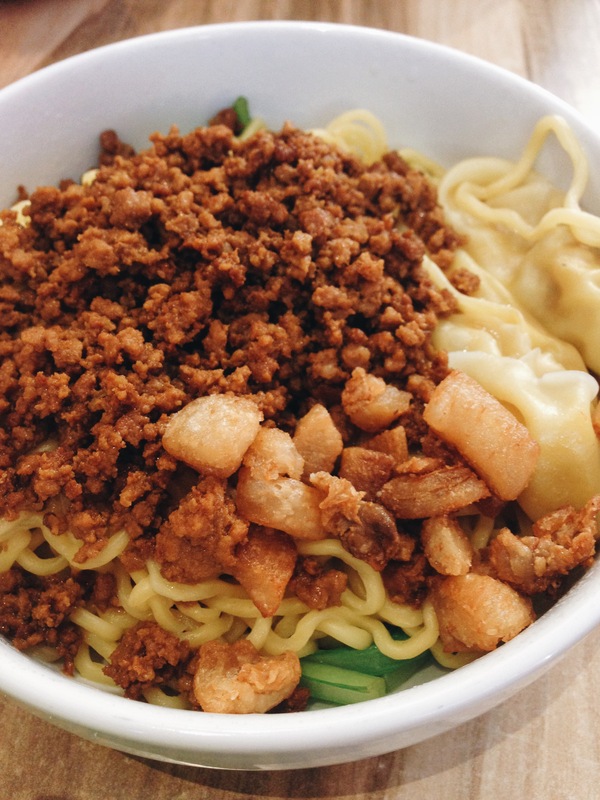 For bakmi or yellow rice, check out Pinang Bistro. I’ve lost the photos I had – soz guys. Fried chicken is the only thing I really order at Shalom. Don’t get the gado gado – it had tomato in it the last time I went which is a huge no-no. I used to live near Java, so it was my go-to restaurant just because of proximity. The food is alright, but there isn’t really a standout dish for me. 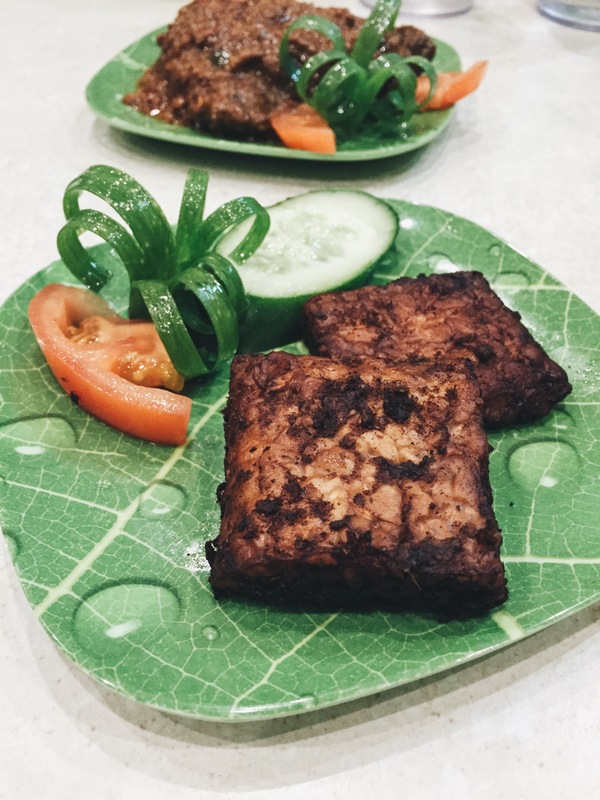 Although, if you like otak-otak (grilled fish cake), a friend of mine vouches for them. But… when are you NOT craving fried chicken?! Hehe. Nice round up, there’s been a few new places opened lately and far too many closed down. I still miss Cafe Joy in the city. Podomoro in Chinatown is new and excellent, just down the road from Do Dee Paidang. Sedap Rasa in Kenso is great for the ready made selections and try Fajar, it is a homely style place but great food. Gotta add Sumatra Indonesian Cafe to ur wishlist. They r in Padstow. Seconded. Medan Ciak is great. Excellent list by the way.